Hey, Injury, Have You Met Insult? I should have just taken the fall. I had already taken one, you see, and was raging that it was going to happen all over again, within ten minutes — if that — of the first toss. And it was a toss, a drop-the-head, shake-the-enormous-chestnut-arse kind of chucking off, complete with squeal. Coming around to the same spot, he tried it on again, this time with less feeling, but nevertheless: when a 17hh-ish six-year-old decides to shimmy you off into the dirt, it becomes a matter of physics. This time though, I tried to slow myself down by grabbing with my offiside leg, the site of 2010’s ornate injury, and — yeah, I’d say that was my first mistake, but this mistake was so comprehensive, there wasn’t any need for a second. Grabbed — I remember looking at my calf clutching the pommel and thinking ‘Shite’ — and slid, arms around his neck, down to the ground, landing on my feet. The second I tried to step away, big pain, no more riding, lift home, RICE, friends calling round bringing crutches and healing and bubbly water, and the frustration/fury of being grounded. Two days later, my new hat arrived. In the intervening weeks, I’ve gone shopping. Virtually, because once you know what’s what, you get greater range of choice on t’internet than you would in a shop. There’s The Horse Show, of course, but even there, it’s get a bit dicey, especially when it comes to jodhs. Unless you’re a size 20 waist and looking for a pair of those yellowy-plaid numbers, or are willing to pay upwards of €80 for plain, black stretchy ones, then you may as well go a’googlin. My favourite place is Robinson’s Equestrian, and I’ve gotten my last three Harry Halls from them, including the above, which has some flashy hi viz trimming. I wasn’t so far gone, thankfully, that I got the version with the rhinestone bling. … because, you know, I may need this someday. Maybe even this year! Who knows! Best to be prepared! ‘Gold’ buttons! That is actual velvet on the collar. 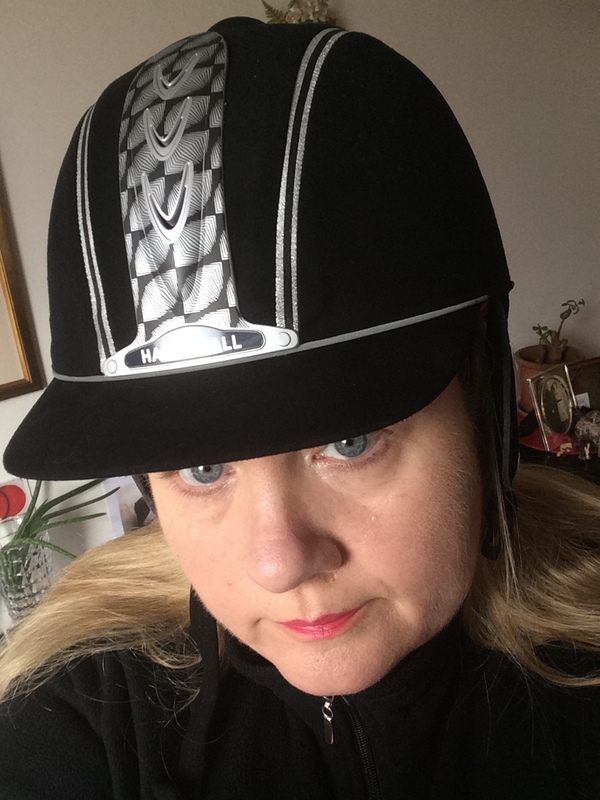 I tried it on with the white shirt I bought for that dressage test for which I had been preparing and during which preparation had injured myself the first time. I’d never even taken it out of its package. Look at the horsey tie! I’d forgotten how hypnotic it is, clicking around Done Deal, looking for a horse. The derision with which one ignores the ones without photos — srsly — and how it really helps if the seller uploads some video. 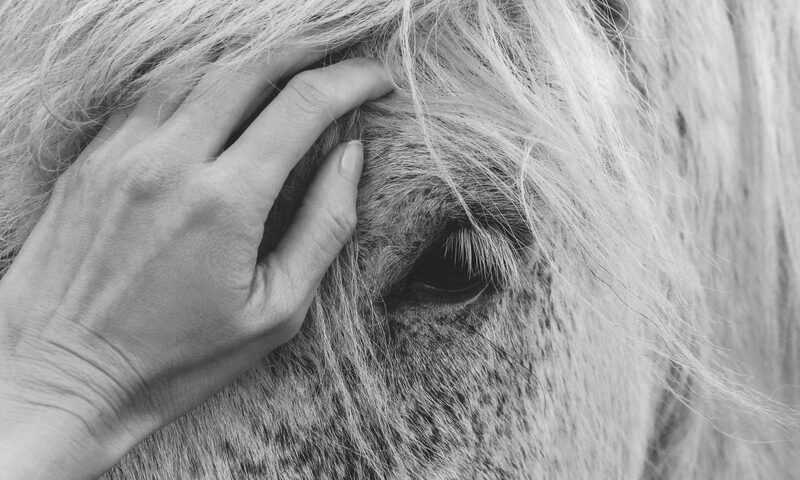 How ‘scopey’ makes me hit close tab in an instant, and how a good close-up of an equine expression can hit me straight in the heart. Pingback: Synaesthesia Treatment at Lush Spa, Chelsea | Bright & Beautyfull! Next PostNext O, Dignity! Whither?